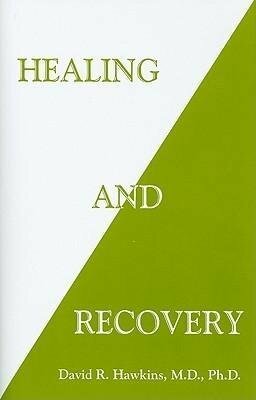 This, the eighth book in a progressive series based on the revelations of consciousness research, resulted from a group of lectures given by the author at the request of the original publisher of A Course in Miracles, along with members of several self-help groups, including Alcoholics Anonymous, ACIM, Attitudinal Healing Centers, other recovery groups and a number of clinicians. Our society lives with constant stress, anxiety, fear, pain, suffering, depression and worry. Alcoholism, drug addiction, obesity, sexual problems and cancer are constantly in the news. Mankind in general has had very little information about how to address life's challenges without resorting to drugs, surgery or counseling. In this book, you will learn why the body may not respond to traditional medical approaches. Specific instructions and guidelines are provided that can result in complete healing from any disease. The importance of including spiritual practices in one's healing and recovery program is explained, along with how easy it is to incorporate them in the process. Healing and Recovery provides clinically proven self-healing methods that will enable you to take charge of your health and live a happy, healthy and fulfilling life.